So the most anticipated video –“Come Closer“– from Nigeria’s number one music export Wizkid, featuring Canadian multi-awarded rapper/singer/song writer Drake officially dropped some few days ago. Hollup Hollup!…Wait a minute, Uncle Drake is not in the video. Really?!! 1) These have got fans pondering. 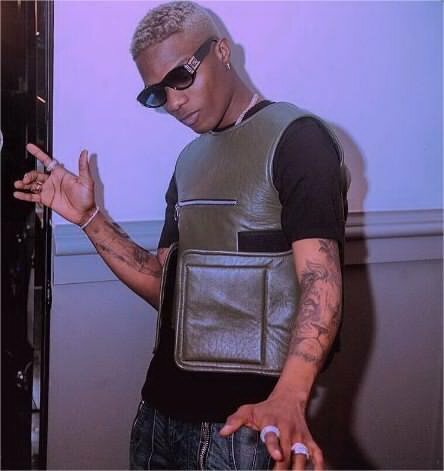 First, Wizkid was not in the official video to “One Dance” which is Drake’s biggest single so far; having set a record for most weeks atop Billboard’s Hot R&B/Hip-Hop Songs. Is this payback for Wizkid’s absence in One Dance video? 2) Could Drake and Wizkid be beefing?? Drake and Wizkid were in London at the same time when this video was shot but Drake didn’t show. We understand Drake was in the middle of his European tour but is that really excuse enough? 3) Was Drake throwing shades at Wizkid when he said that he believes The Weeknd is the ”real’ Starboy some weeks back? 4) Is this a battle between record label giants Sony Music and Universal Music Group which now looks like a Wizkid vs Drake situation? 5) Last year One Dance was a huge global hit. Wizkid and Sony Music maybe be trying to recreate the same formula. Plot twist- What if the Sony Music executives only signed Wizkid based on this kind of track figuring that it could be One Dancepart 2 and Drake saw this calculation and didn’t want to be used? Drake is now working with Black Coffee. We guess he’s done with Nigeria and is now working with South Africans (yes we are jealous). While we keep wondering what’s really going on between these two, let’s keep watch on how both camps handle this situation. CLICK HERE TO WATCH COME CLOSER VIDEO BY THE REAL STARBOY WIZKID FEATURING DRAKE.